I wouldn't have known about the dead man if I hadn't walked into the kitchen at the exact moment my one-and-only lodger was about to warm up an eyeball in the wave-cooker. Before I could become more than mildly alarmed, the Lady of the Lake rose out of the water to my left and said, "You shouldn't tease Miss Vicki after she gave you a carrot." The swirling stopped. I looked to my right. The pony had disappeared. Ooh, that beginning was a bit creepy...yikes! Thanks for sharing...and for visiting my blog. Lake Silence sounds like a good book. Enjoy your current read. Oh, my. Warming up the eyeball might just be as far as I'd get with this one. I like creepy, but I don't know.... Hope you enjoy it, though! I just got the first one in this series off audible and I'm really looking forward to it. The MC des not sound like she's in a good situation in the beginning. Warming eyeballs sounds bad. Have a great weekend, Kathy and happy reading! Sounds like a good read. Hope you enjoy it. I need to start this series already. Happy weekend! This sounds like my kind of book. Even the cover has my interest. That beginning though... lol... ew. Happy weekend! I am really looking forward to reading this one. 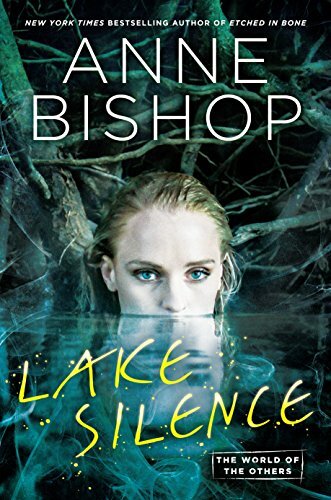 I have one more Anne Bishop book to go before I get to this one though. It sounds so good! And I just love her Others world.